Director Peter Segal noted for films like 50 First Dates, Anger Management, The Longest Yard etc has attempted a sports comedy now with Grudge Match. In the process he brings iconic actors Robert De Niro and Sylvester Stallone together for only the second time ever (they had worked together in Copland earlier). 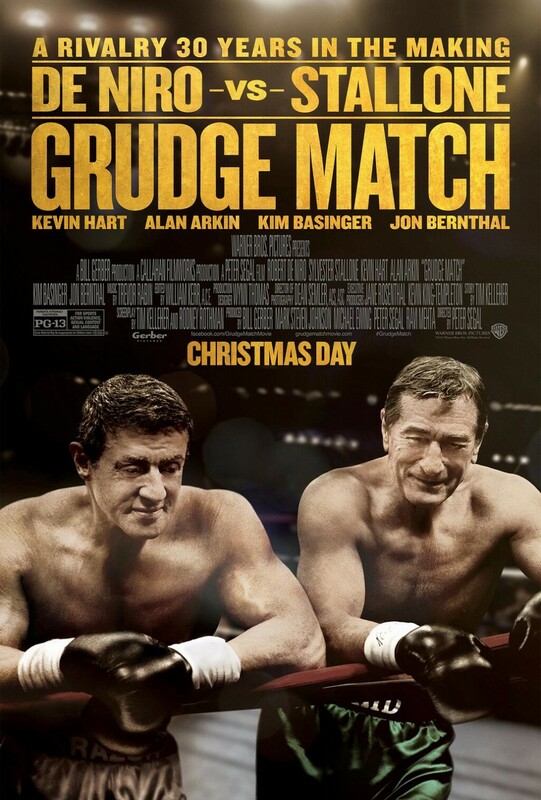 While both De Niro and Stallone have played boxers in films like Raging Bull and the Rocky series respectively, Grudge Match brings back them back as retired boxers who step back into the ring after 30 years for a grudge match. The film also features Kim Basinger, Kevin Hart, Alan Arkin etc. Initially scheduled for a release on 10th January, 2014, it has now been moved ahead to 25th Dec for a grand Christmas release. Check out the trailer. Martin Scorsese with Leonardo DiCaprio: Is DiCaprio the successor to Robert De Niro for the master filmmaker?